Christmas Calendar Week 3! — Flavor Creative Catering Ltd. 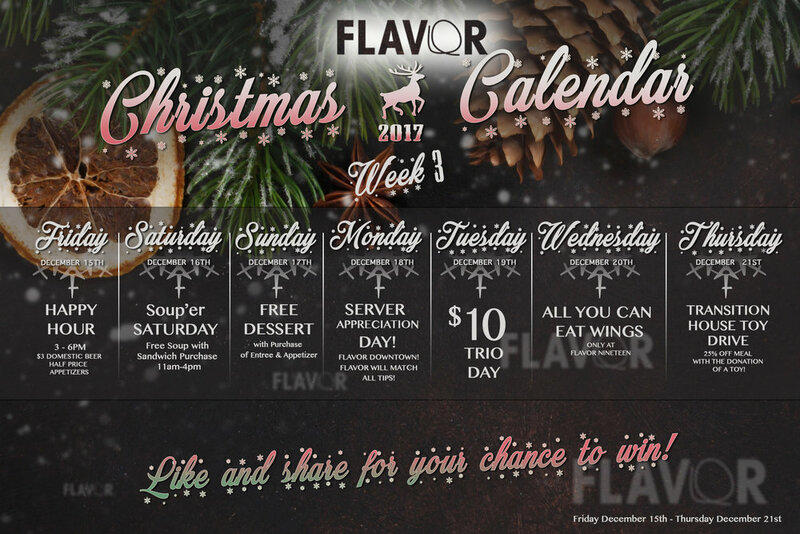 Check out the deals and specials for Week 3 of our Annual Christmas Calendar!